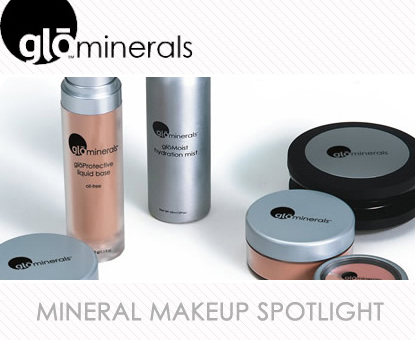 gloMinerals was founded by Robin silver-McGee, and their mission is to develop mineral makeup using the best quality pharmaceutical-grade ingredients to create excellent makeup that’s good for the skin. gloMinerals is a full line of mineral makeup, from basics to blush to shadows, to even their own skincare range. gloPressed base ($39.00) comes in a bunch of different skin tones, which makes it great for those who need variety and really want to get a good match. This particular product is one of their bestsellers, as it is a pressed foundation with a matte finish. You can also use the gloMatte finishing powder ($33.50) for longer lasting matte coverage or touch-ups. gloPerfecting Powder ($33.50) is a translucent powder that acts to absorb oil buildup to keep your finish looking matte, rather than shiny or oily throughout the day. Again, it is a pressed powder, which makes it a convenient tool to carry around with you. gloShimmer brick ($31.50) is a compact that has four different colors that can easily be used individually or together. What I like about the Shimmer brick is that there is a low level of shimmer, so you get more of a subtle sheen than a glitter mess when used to highlight or add depth to cheeks. Other products you may be interested in: gloBlemish Stick ($18.00), gloLoose base ($37.00), gloFace Primer ($23.00), gloProtective Liquid Foundation ($30.50), gloDust 24K ($36.50), and gloMoist Lip Treatment ($16.00). What could they improve on? Their prices are steeper than other popular mineral makeup brands, though they do offer a lot of pressed variations in their mineral makeup line. They also do not seem to have any sample kits available, which can make it difficult to purchase online. Learn more about the brand at www.glominerals.com. Have you ever used gloMinerals? What did you think of the brand? I’ve used the gloPressed base and I really like it, however I believe it does have parabens or some other chemicals that I have read others saying that everyone should stay away from. I really like the powder, although I think it would be cheaper to just use BareMinerals loose powder, lol. I haven’t tried it though since I barely wear anything on my face other than moisturizer (Shiseido) and eyeliner (lancome).